This is from a chapter where Vargas describes techniques for encouraging creativity and curiosity among students. 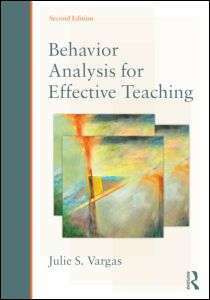 In later posts I will write about how facile and inaccurate characterizations of behaviorism have denied our teachers access to a set of highly effective classroom techniques. ← Lose weight with tDCS?